Clean for the Queen this weekend! The Council are organising three community litter picks to take place across the borough this Saturday 5th March, in aid of Clean for the Queen weekend, and we need your help! 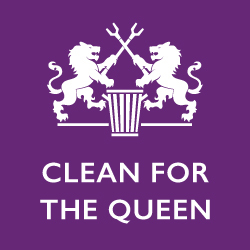 This year is the Queen’s 90th birthday - and in preparation for her official birthday in June, Keep Britain Tidy are running ‘Clean for The Queen’ a community based campaign to clear up Britain. When HRH came to the throne litter was not the problem that it is today. Food packaging, plastic bottles, takeaway meals and cigarette butts have all contributed to a growing menace that affects our wildlife, streets, countryside and sense of pride. What better way could we show our gratitude to her by cleaning up our country? 13:30-15:00 St Nicholas Park Meeting point - park area opposite Coniston Pub, Tavern/Wallingford Road junction. All equipment will be provide but please wear suitable clothing and footwear and thick gloves if possible. Everyone is welcome but under 16s must be supervised by an adult/guardian. "The litter picks taking place this weekend are a great way for residents of Nuneaton and Bedworth to meet new people and do something for the community. Litter picks in aid of the Queen’s Birthday will be taking place across the UK this weekend so it is great that Borough residents will be playing their part to clean up the country."